There are situations in the world where the emergence of fish species that have not previously existed in the area creates an imbalance between these species and native fish species. In extreme cases, this may lead to a reduction in the populations of locally occurring fish and to the suppression of fisheries based on these species. This was the case, for example, in the Great Lakes area in the USA and Canada. The emergence of alien species such as sea lamprey or Asian carp has led to a decline in the salmon and trout populations and very high losses in the fishing industry. Chemical agents are currently used to reduce invasive fish populations. Various devices are also being tested to block access to spawning grounds for these species. 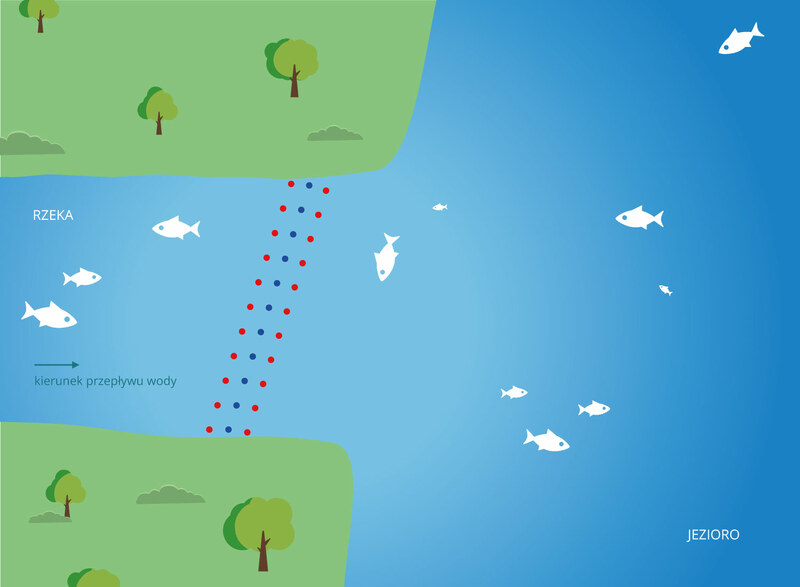 One such device is the NEPTUN system, which by creating an appropriate electric field between a row of positive and negative electrodes, installed across a river, blocks the movement of fish to spawning sites. In addition, by installing the system at the right angle and placing a trap at one end, NEPTUN can guide the fish to this trap very effectively. This gives the possibility to limit the use of chemicals, the effects of which on other organisms are not yet fully known. By using the NEPTUN system we can limit access of invasive species to spawning sites. In addition, using a trap, we can catch them. Thanks to its very high efficiency in blocking and channelling fish into a trap, the NEPTUN system enables the reduction of chemicals poured into water that are not environmentally neutral.